In Think of the Children, it's impossible not to think of the children. Keeping this ragtag bunch of hooligans alive is the bane of your existence. They will test you. They will break you. And somewhere in between saving little Chad from an alien abduction, preventing Martha from crushing herself with a soup can display and pulling Eunice from the jaws of a hungry shark, you'll manage mundane daily tasks like grocery shopping or hosting a barbecue. The goofiness of the events is a good laugh with friends in up to four player local co-op but is a nightmare for solo players. The controls are simple and only require a few buttons. You have the option to pick up a single child, yell at all children in a small area or give a child a nice, friendly toss across the screen (please don't try this in real parenting). Occasionally, there will be button mashing to complete actions. The screen constantly gives visual cues warning of the idiotic activities the kids are up to: juggling knives, climbing into the grocery store freezers, throwing poo back at monkeys at the zoo and generally being menaces. The campaign, which has the backstory that you're an unfit parent who must stand trial to try and keep their kids, spans a variety of destinations like the beach, a party, camping in the woods and the airport. The ridiculous nature of parenting through the outrageous situations is a lot of fun — with the caveat that that statement only holds true when playing with friends. 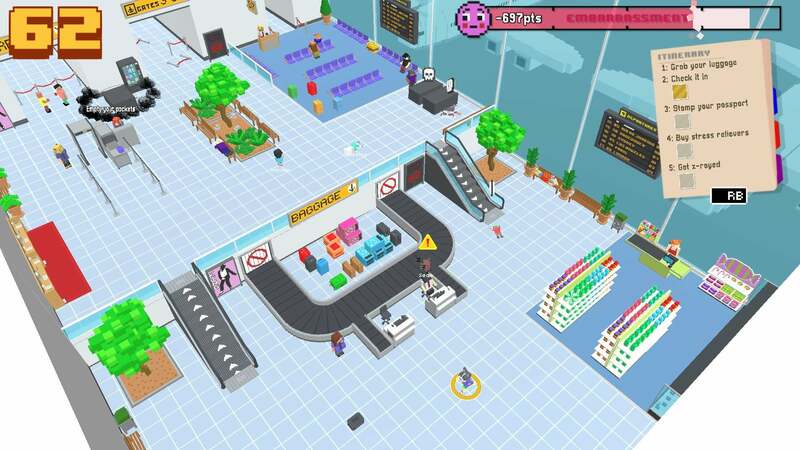 Groups of up to four players will laugh through cooperatively taking care of the world's most high-maintenance children, although co-op is local only. The court dialogue can be pretty clever and will get some laughs, like when the parent tries to plead the United States' fifth amendment and is reminded they live in Australia. Passing levels also awards cosmetics, of which there are more than 100. Dressing up in a poop-shaped hat while your friend is representing the clown costume makes Think of the Children's parenting even funnier. 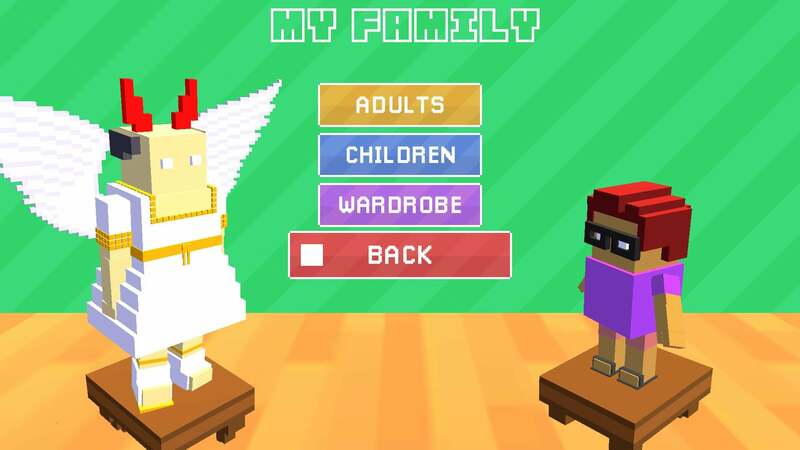 You can customize and name the annoying kids after your friends, or better yet, the game has a neat social feature in Twitch and Mixer, which lets viewers join and replace the name of each child. However, Think of the Children's single-player mode is a different story entirely. While the game advertises solo play, it's almost false advertising. Single parents will begin to struggle a couple levels in. Even passing some scenarios becomes absurdly difficult, much less getting the coveted A+ rating. For example, at one point, you'll be trying to stop all six children from causing bodily injury to themselves in separate locations, all while maintaining a campfire that it is essential to keep lit or else a pack of wolves will show up and eat everyone. 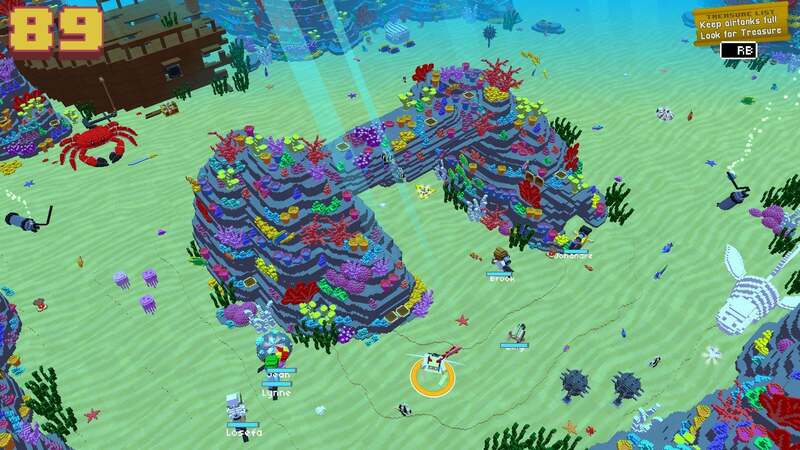 In an underwater level, the six kids' oxygen tanks must be continually refilled in addition to preventing the children's usual escapades, all while being expected to search for buried treasure to get enough points to get a passing grade. It's as though the game was not balanced for how many players are participating, and solo players are essentially facing the same challenges four players would be. The flaws of Think of the Children's simple controls and mechanics become apparent as levels get more intense. When multiple objects are next to each other, you'll have to awkwardly arrange your character to make sure you're interacting with the right one. Picking up children and objects are the same button, leading to more than a few problematic situations, especially when speediness is of the essence to save kids' lives. Coupling the lackluster mechanics with the insane requirements to pass a level solo leads to a frustrating experience, and even some of the later levels are no picnic in co-op. The achievements are steep. 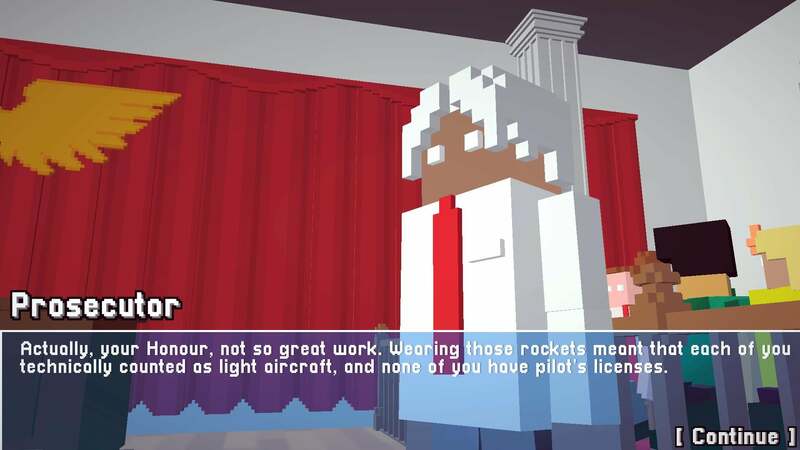 There are achievements for beating the game in both single player and co-op, as well as completing miscellaneous tasks and getting the highest ranking of A+ on every level alone and with friends. 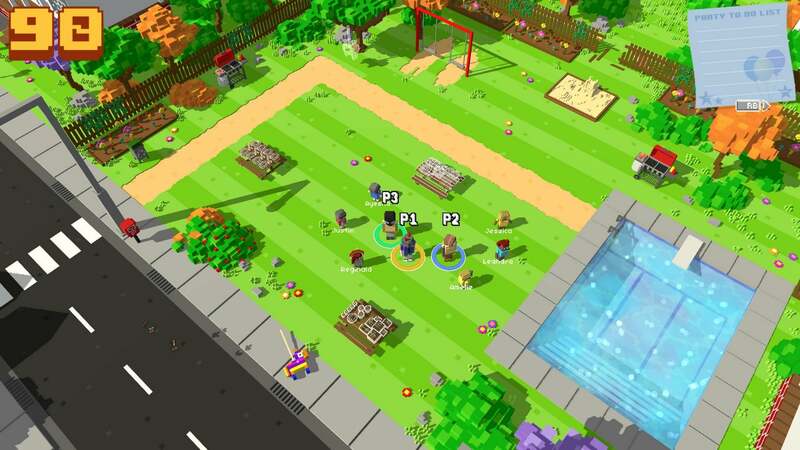 The Super Parent achievement, earned for getting an A+ on every level in solo, seems darn near impossible with how hard it is just to beat levels alone. And indeed, no one on Xbox Live overall has managed to unlock that one yet. Lastly, there is at least one achievement that I believe is unobtainable. I met the straightforward requirements and didn't get the achievement, and neither has anyone else on Xbox Live. 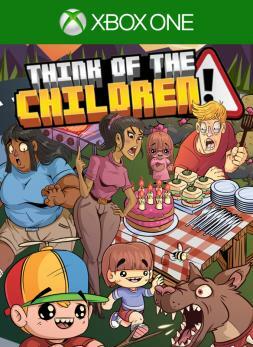 Think of the Children a niche recommendation to those dying for couch co-op experiences but a disaster for solo players. 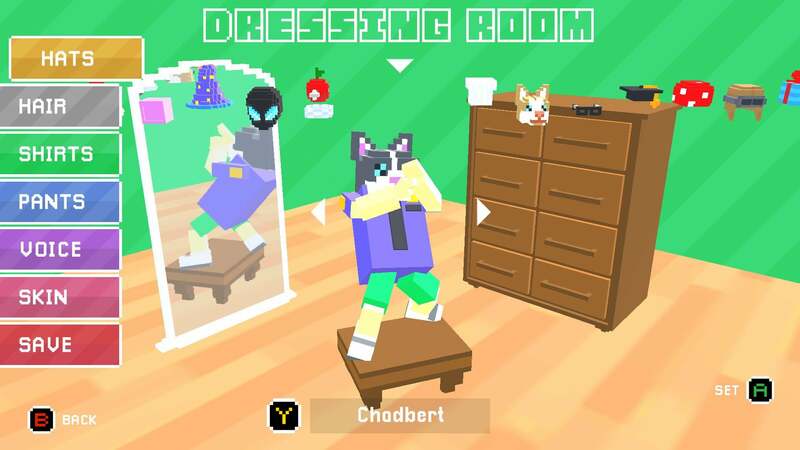 The game is carried by how fun it can be with friends: the silly situations, crazy cosmetics and chuckle-worthy court dialogue are meant to be enjoyed with others. But the flaws become overwhelming in single player where levels aren't balanced for the lack of players, leading to a lot of frustration to merely beat the game, much less be eligible for the coveted A+ rankings. Local co-op only and lacking controls and mechanics are other turnoffs that make Think of the Children hard to recommend to everyone. 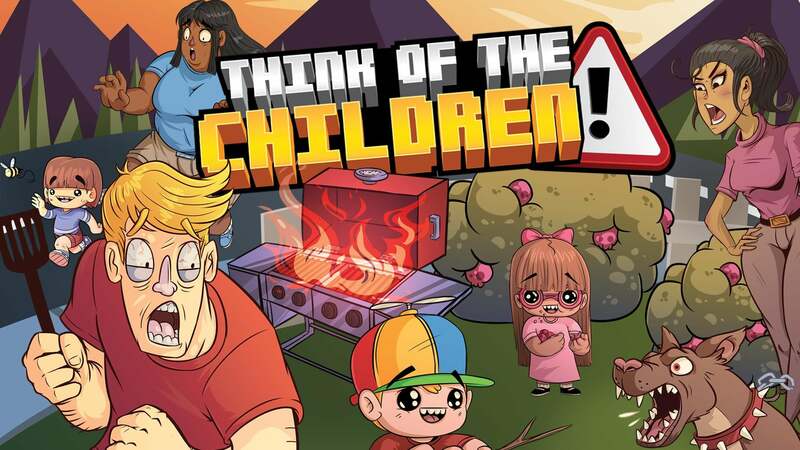 The reviewer showed their ineptitude at parenting in Think of the Children for eight hours, somehow beating all levels in solo play and experimenting in co-op. Poo was thrown, the body count was high, and 14 achievements were won for 505 gamerscore. 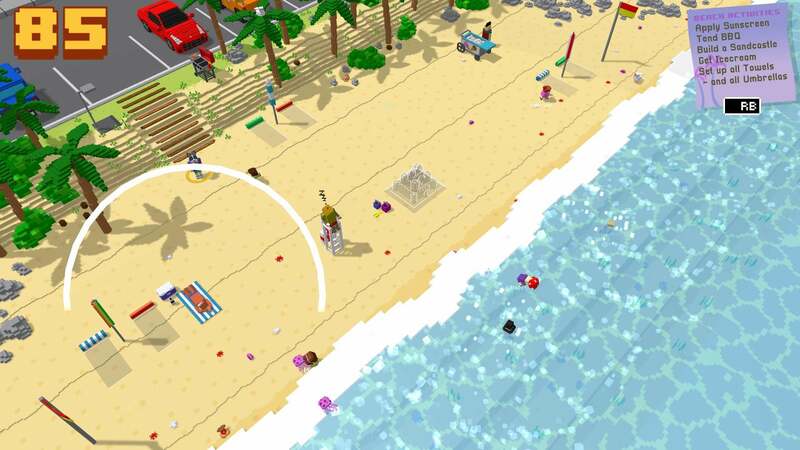 An Xbox One code was provided by the publisher for the purpose of this review. In a few descriptors: college student, longtime gamer, writer and junk food enthusiast. I contribute to TrueAchievements as a news writer and reviewer. Usually, you can find me knee-deep in a multiplayer game while ignoring my growing backlog or on one forum or another discussing all things gaming.